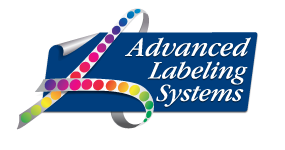 Advanced Labeling Systems is one of the largest ribbon resellers in the Rocky Mountain region. Our extensive ribbon inventory includes products to fit all major makes and models of thermal transfer printers. We also carry an array of different formulations and sizes for printing on various tag and label facestocks. These premium quality products will allow you to get the crisp resolution and durability required in most barcode and variable printing applications. For general purpose tag and label printing, wax ribbons offer the most economical choice. They work best for printing on coated and uncoated paper label and tag stocks. These ribbons provide added durability and smudge resistance. Wax/Resin ribbons can be used on some polypropylene and synthetics, as well as coated and uncoated paper facestocks. These provide a higher level of scratch and smudge resistance. They are made for use in harsh environments and work well with a large variety of polyester synthetic materials currently on the market. We have ribbons for cab,Datamax, Zebra and Sato thermal transfer printers in-stock and we can order almost any other brand of ribbon you require. Please Contact Us for pricing and ordering information, or if you need any additional assistance finding the ideal ribbon for your application.